Toys and games ads in Perth. Thank you for visiting our free advertising website Toys and games, Perth section. We provide high response free classifieds and free advertisement. Use our online free Toys and games classifieds placement system to find, list, offer Toys and games online! Instead of sweating and melting your way into summer, dive right in ... the waters fine! Ideal Shop has every excuse a liquid-loving family could possibly need to stay in the water, and make summer fun, easy and fabulous, from blowup pools, to enticing inflatable swimming pool toys. http://idealshop. Buy personalized Jigsaw puzzles at Bramblerose, Australia. Our comprehensive range features intricate designs and shaped pieces. Fun for all ages! Bramblerose PO Box 2064 Churchlands 6018 Perth, WA Contact US: 0407 474 993 Email : bramblerose@westnet.com.au Website: http://www.bramblerose.com. Buy the finest collection of wooden toys and puzzles in Australia, only at Bramblerose. Our entire range is carefully crafted with non-toxic paint and child safe designs at best costs. Bramblerose PO Box 2064 Churchlands 6018 Perth, WA Contact US: 0407 474 993 Email : bramblerose@westnet.com.au Website:. 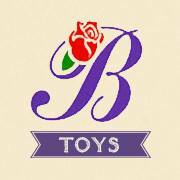 Bramblerose is ranked amongst the leading online toy suppliers in Australia. With the years of experience and unending loves towards kids have made them innovate most fascinating range of toys like wooden toys, puzzle, hand puppets, nesting dolls at very competitive prices. Bramblerose PO Box 2064 Churchlands 6018 Perth, WA Contact US: 0407 474 993 Email : bramblerose@westnet. Find great deals on Bambushka dolls and Russian Nesting dolls online. Browse thorugh our extensive collection from around the world and get huge discounts on every purchase.Visit us for more info at http://www.bramblerose.com.au/. Address Mailing Address: PO Box 2064 Churchlands 6018 Phone: 0407 474 993 (9am – 7pm 7 days per week) Fax: 08 9445 8285 Email: bramblerose@westnet. Cabbage patch doll 25th anniversary doll no box comes with certificate and spoon vgc never used as a toy. V tech innotab 2 pink new with 3 games and case no box used once. Faiz-e-amm online Jobs Wahh centt franchise ghar bhaty 15000 se 20000 earning karny. (http://www.cyberonlinejobs.net). Nurture Bright specializes in family, educational and Christian Toys for building the life of our kids. Our growing range includes Playsets, Puzzles & Games, PC games, Plush toys, Praise and Dance kits, Books and more coming. Please visit our store www.nurturebright.com.au for full range of products. Multi-award winning Noah's Ark Animal Stacker Stackers Play Set with Storage. 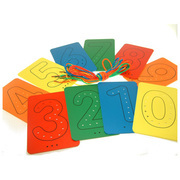 Total of 44 colour-coded detailed play figures to help your child learn about colours, animals and numbers! - 12 numbered levels of storage. - Educational and Convenient. - Each figure stores into its own compartment. -. lego wanted any amount duplo, star wars, technic any type please call 0400766554. Am looking for extensions for the plastic outdoor kids gym for my grandson. He has the box part which has the slide/steps attached. Cheap. Australia free ads for Toys and games, Perth, Toys and games free ads Perth, Toys and games for sale Perth, Toys and games to buy in Perth. Find on this page free classifieds for Toys and games in Perth. This listing includes classifieds for sale and to buy in Perth. FREEADSAustralia Perth offers you a platform to post free advertisements or classifieds for Toys and games in Perth. FREEADSAustralia helps you search, find buy, sell, rent or hire in various categories like apartments, goods for sale, local services, cars , jobs and many more in Perth. If you posted an advertisement in category Toys and games of FREEADSAustralia Perth before please use Edit my ads button to change or cancel your ad. Toys and games Perth ads Perth, Toys and games classifieds Perth, Toys and games free ads Perth, ads for sale Perth, ads to buy Perth, FREEADSAustralia. Find here ads for sale, to buy and rent in Perth. Goods for sale in Perth, vehicles for sale in Perth, Perth real estate for sale, Perth property for sale, property for rent in Perth, business ads in Perth, Perth business classifieds, services in Perth, Perth services ads, jobs in Perth, pets for sale in Perth, Perth dating, Perth cars for sale.